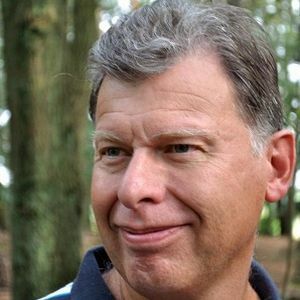 Mike Beedle, co-author of the Manifesto for Agile Software Development and the creator of Enterprise Scrum, has passed away at the age of 55. He leaves his wife and six children behind. In 2001 Beedle was one of the seventeen people who created and signed the Manifesto for Agile Software Development. He had been invited by Martin Fowler and Robert Martin because of his involvement in the early adoption of Scrum and the organizational patterns community. Beedle was one of the first to follow in implementing Scrum after Jeff Sutherland, and collaborated on writing the Scrum patterns article, which was the second published paper on Scrum. Together with Ken Schwaber, Beedle co-authored Agile Software Development with Scrum which was published in 2001. The focus of Enterprise Scrum is on reinventing the company itself, or any part of it, with all of its business units, customer segments, business models, processes, products, and services. Enterprise Scrum means Scrum applied to the Enterprise as a whole, so it means continuously reinventing, improving and adapting the company and everything it does. In 2016, the book Enterprise Scrum: An Adaptive Method for Project Success was published. I can tell you I came up with that word (Agile) because I was familiar with the book Agile Competitors and Virtual Organisations. We had proposed Adaptive, Essential, Lean and Lightweight. We did not want to use Adaptive because Jim Heisman had given this to one of his works. Essential sounded overly proud. Lean had already been taken. Nobody wanted to be a lightweight. We did this late in the second day and it took only a few minutes to decide on this. I would tell them to take the agile ideas as a good starting point. A starting point that maybe gets you further than what we had as management in the 20th century. Don’t stop looking. Keep innovating. Keep questioning the techniques. Keep questioning what’s going great. The only way to evolve eventually is to piggy-back and stand on the shoulders of giants. Don’t be afraid to take it down. If you do see good reasons to evolve it, to improve it, go ahead. Don’t stop here. Take it further. In his last tweet Beedle stated that he will correct and FIX Scrum. Mike was an amazing and magical guy that could take a new idea like Scrum and not only build hyper-productive teams but deliver a hyper-productive company! He is irreplaceable in the Scrum community and he will be missed greatly. RIP @mikebeedle you were one of the good ones. Mike played a tremendous role in creating and driving the ongoing Agile movement. You will surely be missed by all. Our thoughts and prayers are with Mike’s family. Beedle was stabbed to death in an alley on Chicago’s near north side on March 23, 2018. He leaves behind his wife and three children aged 1, 2, and 3, and three older children. A fund has been set up to support Mike Beedle’s family. Thanks Ben! Those of us who knew Mike in those formative years of Scrum and Agile have been posting our memories of Mike on LinkedIn, and on Enterprise Scrum in FB. Thanks Brad for adding links to these collections! Just noticed a spelling error in the second quote from Mike. It should be "Jim Highsmith" (not Jim Heisman). Not sure if the error was in the original quote or not.